The WRC effort is a voluntary initiative guided by key community leaders – local elected officials, economic development teams, business leaders, chambers of commerce, educators and workforce development agencies. At the core of the ACT Work Ready Communities initiative is the ACT National Career Readiness Certificate™ (ACT NCRC®). Since January 2006, more than four million Americans have earned an ACT NCRC®. 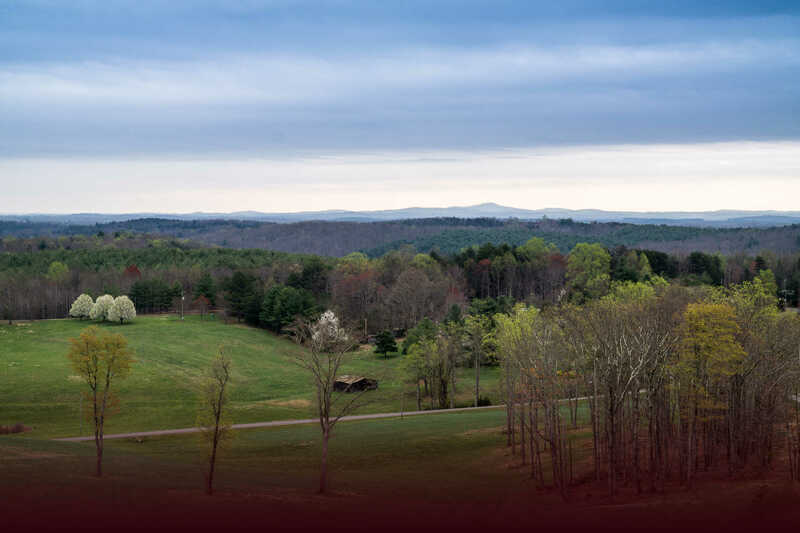 Since June 2013, more than 7,810 citizens in Southern Virginia have earned an NCRC, almost 40 percent of all NCRC recipients in the Commonwealth of Virginia (20,547 as of February 2019).This national, portable credential includes three essential workplace skill categories: applied math, workplace documents, and graphic literacy. Four years ago, Site Selection Magazine added the number of National Career Readiness Certificates per 1,000 residents as one of five criteria used in its tabulations for its annual Workforce Development Rankings. This year, Virginia ranked as the top state in the Atlantic region, scoring ahead of highly competitive states such as Florida, North Carolina, Maryland and Delaware. Companies are seeing the benefit of the Work Ready Community effort which provides a system to verify work readiness, matching the skill level of prospective workers to the skill set required for a specific job. Improved recruitment, reductions in new-hire turnover, and improvements in employee engagement are just a few of the positive outcomes more than 390 companies across Southern Virginia are experiencing. Such companies include Eastman Chemical, Owens-Illinois, Amthor International, Blue Ridge Fiberboard, Drake Extrusion and Essel Propack. “This milestone achievement would not be possible without the dedication, support and partnership of our regional businesses and employers as well as workforce partners like the West Piedmont Workforce Development Board, Patrick Henry Community College and Patrick County Public Schools,” said Rebecca Adcock, Executive Director of the Patrick County Chamber of Commerce. In addition to serving existing companies, the Work Ready Community effort provides a third-party validated, data-driven system for economic developers to talk about the skill level of the region’s workforce. This effort supports the Commonwealth’s goal of expanding the number of Virginians who hold industry certifications that have value to employers. As the region considers further workforce investments and expanding the number of citizens with in-demand certifications, use of the National Career Readiness Certificate demonstrates that Patrick County has a qualified and trainable workforce. 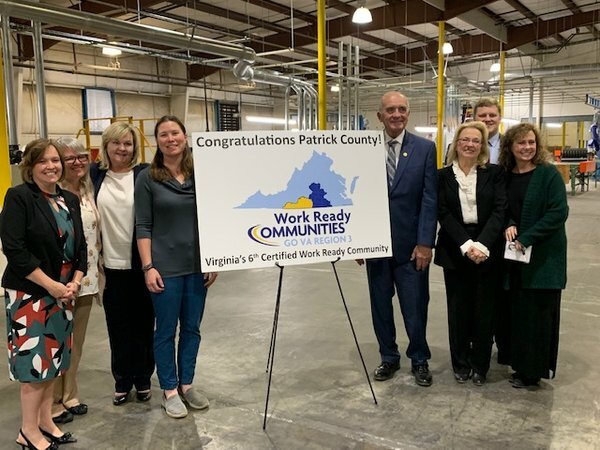 In addition to Patrick County, Danville City, Henry County, Halifax County, Pittsylvania County and Martinsville City have been certified as Work Ready Communities. Other Commonwealth localities have launched their WRC initiatives and are on target to reach WRC status in the future. For more information about the region’s WRC initiative, contact Dr. Julie Brown at Julie.brown@ialr.org or (434) 766-6711.